Harajuku duo sporting streetwear styles with items from Japanese fashion brands, vintage shops, and handmade. 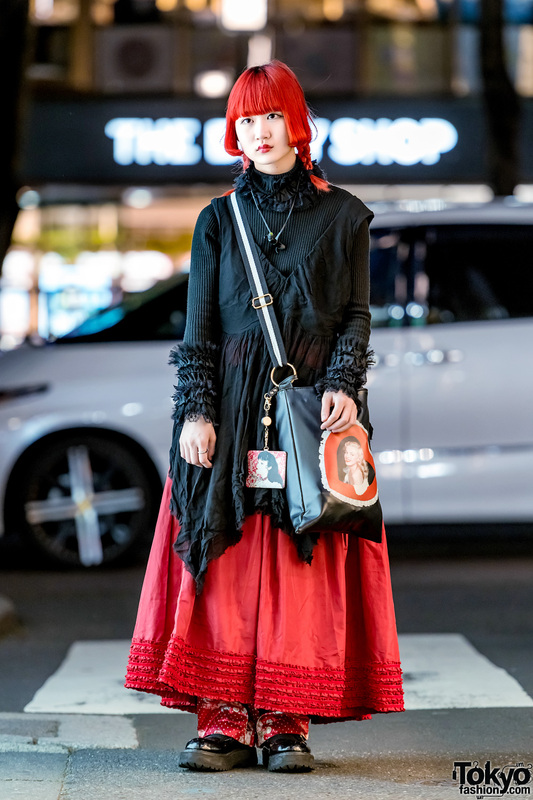 Harajuku girl showcasing black-and-red street fashion from Japanese brands and vintage shops. Kawaii Japanese model on the street in Harajuku wearing an oversized sweater with a plaid ruffle collar, retro sneakers, a heart bag, and cute plush Nebaarukun.